On the heels of the Florida shooting one hears politicians and pundits propose conflicting solutions. Some call for stricter background checks, others for bans on weapons and ammunition; some would raise the age when one can purchase weapons while still others call for arming teachers in schools — all of which will mean more hearings, committee investigations, and studies possibly leading to still more laws, with little chance that those laws alone will prevent the kind of mindless slaughter that continues to plague our country. 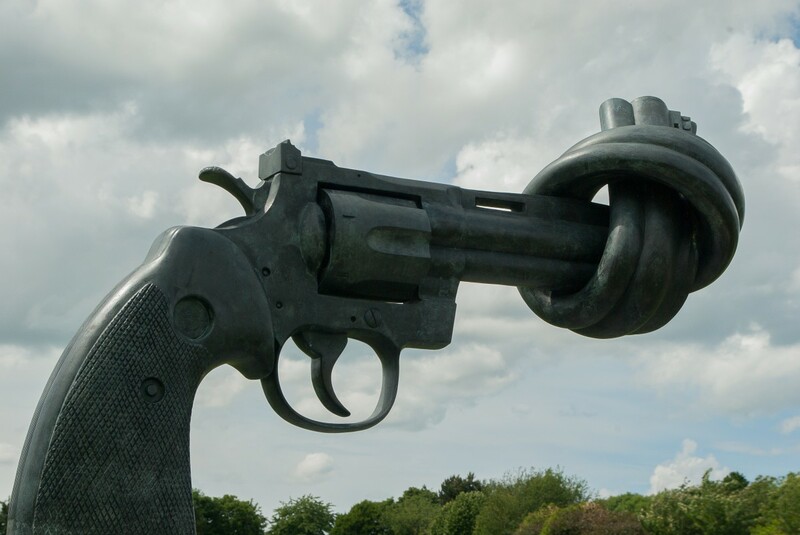 As with almost every social ill, gun violence has its origins in the way one sees the world. For a number of people, guns are a source of recreation, whether it be collecting, hunting, or simply target shooting at a range. Yet rarely do those people engage in the kind of wholesale slaughter we saw in Florida. It is only a very small number of people – a miniscule number, really – for whom a gun becomes the means to lash out at others because of their own shortcomings and disappointments. For many raised in rural America, guns are not a hobby, much less a source of entertainment. They are tools. Sometimes a rancher must put down a suffering animal. Many American families rely on hunting to add food to the dinner table. America has a centuries-long tradition of responsible gun ownership. No one on either side of the gun divide should doubt that the overwhelming majority of gun owners are responsible. Indeed, it has only been recently that we have seen random mass shootings by a clearly unbalanced individual. While I am the last person to claim to have the answer to preventing gun violence, I am convinced that legislation alone — whether banning certain types of weapons or ammunition, restricting purchases to adults, closing loopholes in existing gun laws, requiring extensive background checks, or mandating closer scrutiny of those deemed a potential danger to themselves or others — will not stop gun violence in America. All that will help, but they are no panacea. Modern society — Western “civilization” if you will — may trace its roots back to classical Greece; but the true foundation of American society rests in the Enlightenment, when “man is the measure” became the motto of those seeking to replace community with the individual. If more people were concerned with what they as a community need, rather than with what they as individuals want, we would all be in a lot better shape, and we would not be talking about what guns or ammunition should be banned. We’d be talking about how to help one another because we would understand that no one member of society thrives unless everyone in society thrives. While some would call me a wide-eyed optimist, I prefer to see myself as a hopeful pragmatist. America is going to have a problem with guns, and more mass shootings, long after I’ve slipped this mortal coil. But before I drop off into oblivion (or per Rabelais, the “Great Perhaps”), I would like to see a modicum of progress toward a society attuned to ensuring that everyone’s needs are addressed rather than one that rewards the selfish desires of the individual. Trying to ensure that everyone gets what he or she wants will only lead to more discord and disagreement, and ineluctably to yet more disgruntled citizens who may choose to resolve their inadequacies and failures in a mindless resort to violence. It’s really very simple: we must think less about what we as individuals want and more about what we as a society need. That means putting community before self, a task few of us are inclined to take on.